Assistant Clinical Professor of Urology. 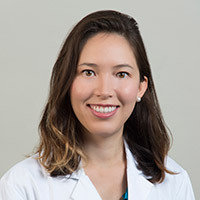 Dr. Wallner graduated from David Geffen School of Medicine at UCLA, and then completed her general surgery and Urology residency at Loma Linda. Her clinical interests include diseases of the prostate, urinary stone disease, erectile dysfunction, and general urology. She specializes in open, endoscopic, laparoscopic, and robotic-assisted surgeries. Lab tests are used in cancer diagnosis to look for tumor markers. These are substances either released by cancer cells into the blood or urine or substances created by the body in response to cancer cells. This test checks your urine for chemicals that might cause your body to form kidney stones.